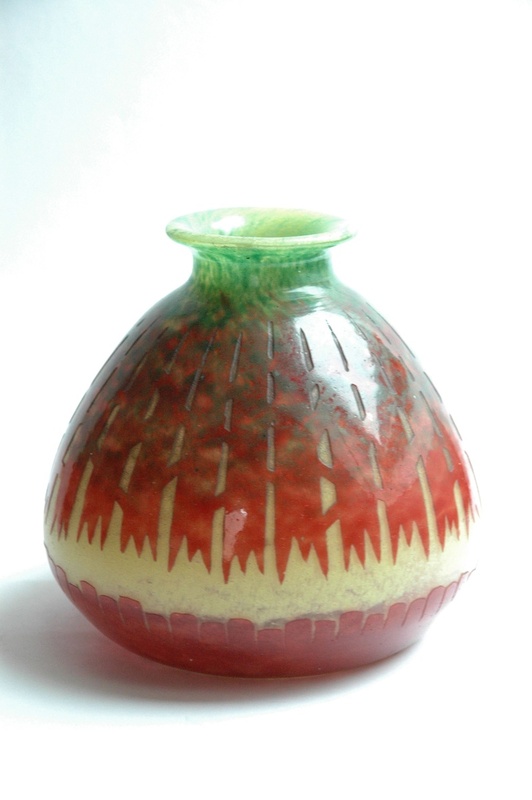 hi there -) new morning arrival, a large art deco vase by CHARLES SCHNEIDER, produced in Epinay Sur Seine factory under the brand LE VERRE FRANCAIS. this piece was produced between 1918 1922.
this piece is done before 22th october 1918... all pieces done before that date were not signed. this help to date the pieces. 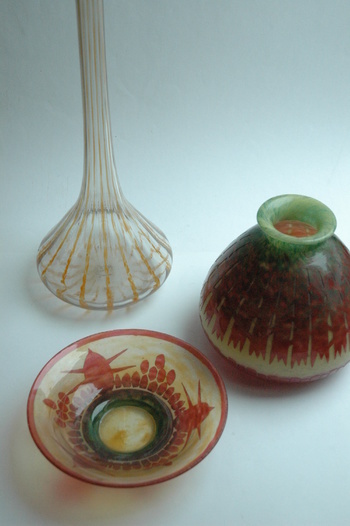 after this date, schneider signed these pieces from 1918 to 1922 with the tricoloured candy, or with "le verre français" in script engraved signature.